The majority of Saudi Arabia players are selected from the domestic league, making the squad a rarity in the modern football landscape. While this correlates to a relatively low profile on the global stage, the under-the-radar team is emboldened by powerful passion for the game at home. Saudi fans share this zeal. Just this past September, a sold-out crowd of more than 60,000 cheered as the Green Falcons secured qualification for the summer’s tournament with a 1-0 win in Jeddah. Their support will undoubtedly spur the team from the tournament’s kick-off match against the home nation — a perfect platform for affirming intent — throughout the competition. There, the Green Falcons will wear Nike’s 2018 Saudi Arabian Football Federation collection. Inclusive of home and away kits, pre-match jerseys, anthem jackets and leisure wear, the collection honors past glory while putting the nation’s ever-present pride front and center. 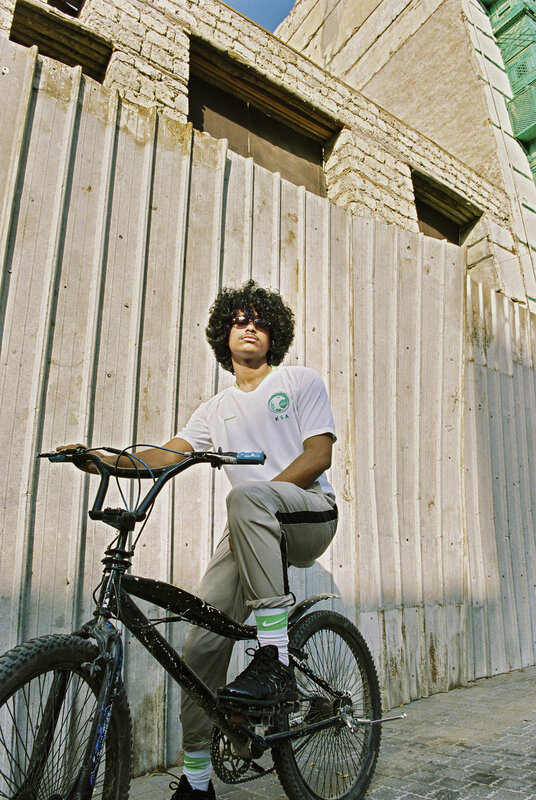 The 2018 Saudi home kit pays homage to the federation’s 1994 team, which reached the final 16 in the United States. It features brilliant white jerseys, shorts and socks complete with green trimmings. The home collection will be available mid-April in Nike stores across Saudi Arabia and on nike.com.